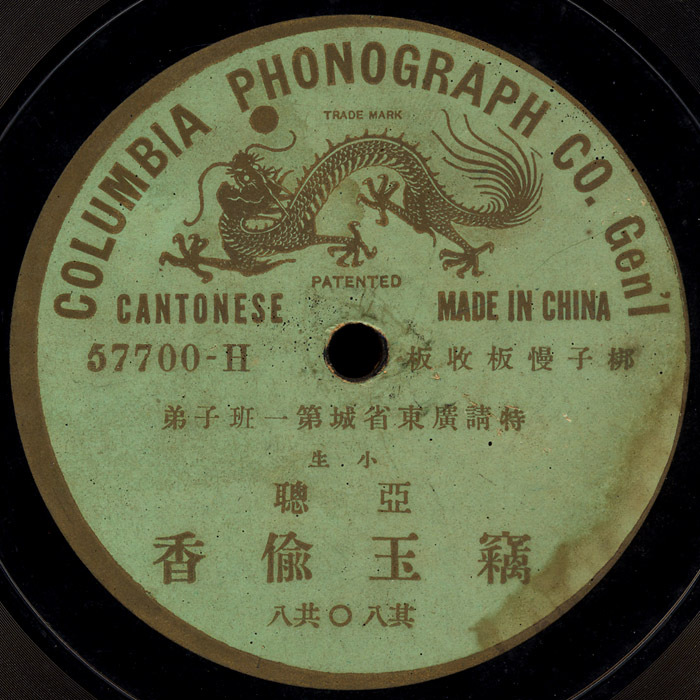 Possibly my favorite Chinese recordings can be found in the Columbia 57000 series. With their red or green labels and iconic dragon, these records are full of beautiful old time Cantonese opera. The only problem is finding them in decent condition, they are quite old and always seem to have been played to death. This recording features some really amazing singing. Thank you so much for this. Wonderful! What a piece of heritage. Thank you for taking the trouble.